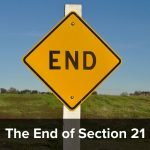 A series of articles looking at the new rules regarding section 21 notices – applicable in England only – for tenancies created after 1 October 2015. This article follows on from my previous post on Energy Performance Certificates. paragraph (6) or (as the case may be) paragraph (7) of regulation 36 of the Gas Safety (Installation and Use) Regulations 1998 (requirement to provide tenant with a gas safety certificate). So, let’s have a look at the Gas Regs. (5) The record referred to in paragraph (3)(c) above, or a copy thereof, shall be made available upon request and upon reasonable notice for the inspection of any person in lawful occupation of relevant premises who may be affected by the use or operation of any appliance to which the record relates. (7) Where there is no relevant gas appliance in any room occupied or to be occupied by the tenant in relevant premises, the landlord may, instead of ensuring that a copy of the record referred to in paragraph (6) above is given to the tenant, ensure that there is displayed in a prominent position in the premises (from such time as a copy would have been required to have been given to the tenant under that paragraph), a copy of the record with a statement endorsed on it that the tenant is entitled to have his own copy of the record on request to the landlord at an address specified in the statement; and on any such request being made, the landlord shall give to the tenant a copy of the record as soon as is practicable. Because barmy though it seems (gas inspections being for the benefit of tenants so they won’t get blown to smithereens in a gas explosion) some tenants won’t let landlords in. This is why we have landlords applying for what are known as ‘gas injunctions’ – very common in the social housing sector. 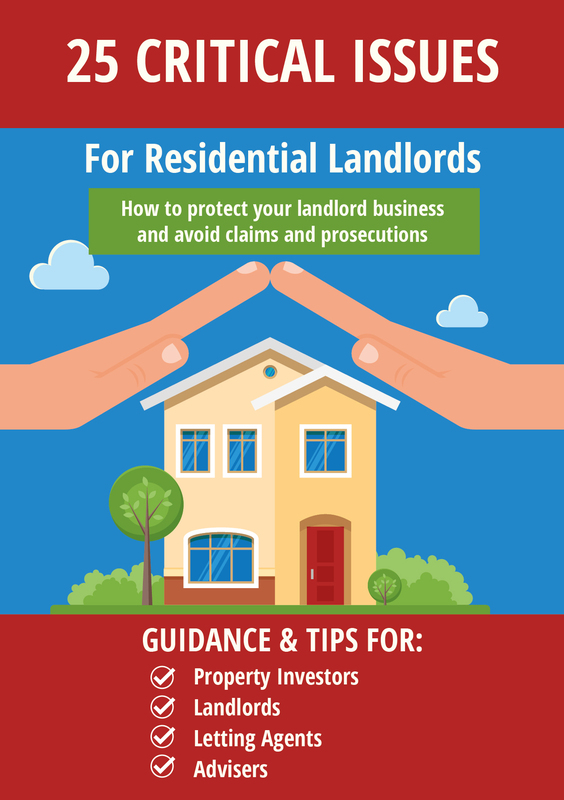 Contrary what many private landlords seem to think, neither the Gas Regulations nor any tenancy agreement clause allows the landlord to enter to do the work against the tenant’s wishes. Are we now going to have a situation where tenants will be able to prevent landlords from evicting them under section 21 by refusing them access so they can’t get the gas inspection done? I think the answer to this has to be ‘no’. It would of course, be completely unjust if the answer was ‘yes’ and I think the courts would probably refuse to allow such a defence anyway as it is self-serving. For the purposes of section 21A of the Act, the requirement prescribed by paragraph (1)(b) is limited to the requirement on a landlord to give a copy of the relevant record to the tenant and the 28 day period for compliance with that requirement does not apply. If this means what I think it means, it will be sufficient (for the purposes of the section 21 regulations) if the landlord gives the tenant the certificate which was done before the tenancy started. There is no excuse then for landlords not to get an inspection done then as the property will normally be empty, for at least some period, between tenants. The section 21 regs talk about ‘a gas certificate’ (ie just the one) rather than ‘an annual gas certificate’ or similar wording, so this is some support for this view. However, we won’t really know for sure until this is tested in the courts. NB If YOUR tenant won’t let you in to do the gas inspection, I have a guide here. I have a slightly different interpretation of this somewhat tortuous drafting. 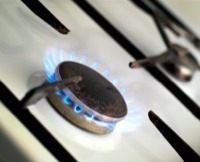 There are two complimentary but alternative requirement under the Gas Safety Regs. A tenant must be supplied with a current cert prior to moving in to a property and then if there is a renewal during the tenancy period it can be supplied within 28 days. The withdrawal of the 28 day allowance period seems to mean that 1) As long as the landlord issued the pre-existing cert at the start of the tenancy then 2)That any replacement may be issued (for the purposes of S21 only) at any time prior to the issue of the S21. I am not sure that is what it actually says! An easier method would have been to require the landlord to comply with the Gas Regs and not mess about with the 28 day period rule. It may of course mean that as long as the landlord issues the replacement gas cert at anytime before the S21, it provides a means to ensure that they are able to rectify a failure and therefore issue the S21. Otherwise it would mean that they may be barred from ever issuing a S21 if neither the Cert that applied at the start of the tenancy nor a replacement were issued. But I am not sure that it actually says that either. That would ensure that there was an incentive to comply with the regs in the first instance, rather than an easy get out if found out. Why can we not just have a government website that lists all the gas cert that have been done for all properties and is updated by the GasSave person that does the check? Then there would be no need for cert to be issued to tenants by the landlords, and it would be easy to find all landlords that have not had the check done. Based on this, in my opinion a landlord only has to give his tenant a copy of a valid annual gas safety certificate before serving a s.21 notice. Of course, he must already comply with the whole of paragraph (6) and (7) of the gas safety regs, so he should already have a valid gas safety certificate and he should already have given a copy to the tenant. But… If not, he can just give a copy along with the s.21 notice and be OK, in my view. I don’t think that a tenant can lawfully refuse access for inspections of the state of repair, which arguably includes boiler services and gas safety checks. My view is that a Court will not allow a tenant to rely on his own breach of contract in failing to allow access to the landlord to do the gas safety inspection if the tenant tries to defend a claim for possession on this basis. However we won’t know this until we have a test case. The landlord must indeed give 24 hours notice (section 11 Landlord and Tenant Act) but they cant enter if the tenant doesnt allow entry. Notice alone is not sufficient. I know you know this but I want to nip this development in the bud, knowing how emotive this issue is and before it develops as usual into a 40 comment thread to untangle. Personally, I don’t know this as I have never saw any legal backing for the claim. 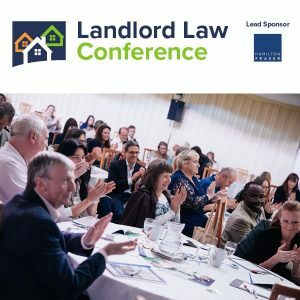 The main point at issue here is if landlords are prevented from accessing (and so behave in a lawful manner and don’t just go in and get it done anyway) – whether the tenants can then use the resultant lack of gas safety certificate as a defence to eviction proceedings. The SI specifically excludes the requirement in the Regs for the gas cert to be given to the existing tenant within 28 days of the check. Fine. However, as you say, 6(b) of the gas regs say a certificate must be “given to any new tenant of premises… before that tenant occupies those premises”. The SI doesn’t remove this requirement, only the 28 day one. So, if a landlord does not give a new tenant the gas cert before they move in, and are therefore in breach of Reg 36(6(b)), what is the remedy for the landlord to be able to then serve a s.21? I can’t see one. At least not an obvious or outlined remedy anyway.